Switching-off traffic lights could ease congestion and help the environment, proponents say – but others raise safety concerns. UK traffic lights could be switched-off at certain times and places to ease the flow of traffic if a proposed pilot scheme comes to fruition - but is this common sense or a recipe for disaster? Andrew Jones MP, the Parliamentary Under Secretary of State for Transport, confirmed in the House of Commons that he is ready to “look at” the concept following a comment by Philip Hollobone, MP. 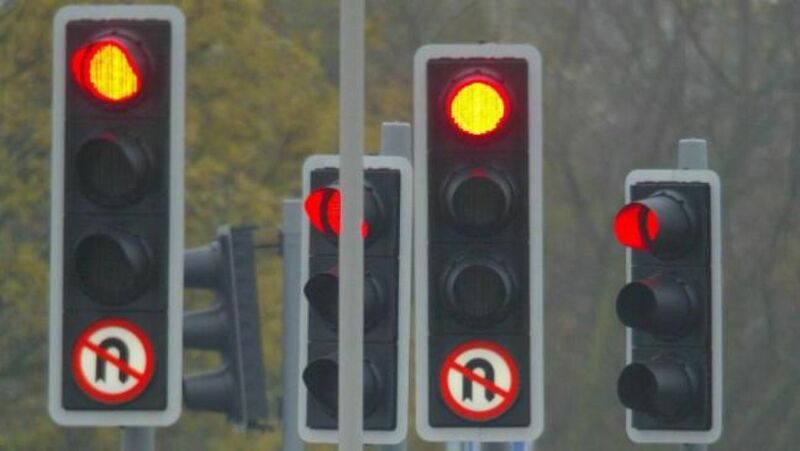 Mr Hollobone – the Conservative Member for Kettering - argued: “People in Kettering always say that when the traffic lights stop working, the traffic flows much better”. Traffic Engineer Keith Firth explained: “Within hours of hooding the signals, things were looking bleak for the traffic engineering fraternity. Up to 2000 vehicles per-hour sailed through the junction with little, if any, delay and queues disappeared on all the approaches. He continued: “Drivers were courteous to each other (and) a good proportion slowed to allow pedestrians to cross. The Institute of Economic Affairs suggested that switching-off traffic lights has environmental benefits too. Furthermore: “Traffic lights add to fuel consumption as drivers brake and accelerate (thus) increasing emissions, noise pollution and harmful health effects (and) bringing considerable extra costs”. In other words, traffic is more environmentally efficient while cruising at a consistent velocity, rather than stop/starting. But not everyone is in favour of switching-off traffic lights – and even the Parliamentary Under Secretary of State for Transport is concerned. Mr Jones said in the House of Commons: “We should be very cautious about removing traffic lights as they are a key ingredient in road safety”. He added: “I have major reservations”. As with most situations in life, if traffic lights were switched-off there would be advantages and disadvantages. A strong case – as comments from those in authority demonstrate – can be made either way. It is reasonable to suggest that it might improve the flow of traffic, for example. Most motorists have sat at a red light waiting for non-existent vehicles to take their turn. This, of course, most typically happens at unsociable hours which is the time some proponents suggest a switch-off might be most beneficial. It is also reasonable to conclude that if fewer vehicles wait unnecessarily at traffic lights, the environment would feel the benefit. Engines still require petrol and diesel at idle, after all. Consuming less gas should also save drivers money at the pump. Furthermore, it is sensible to recognise that traffic lights cost a significant sum to install, maintain and operate. That money tends to come from the public purse, of course. Any savings could be spent (say) repairing potholes and other road improvement schemes. In contrast, claims that accident rates rose in countries that switched-off traffic lights cannot be ignored. If that was replicated in the UK any financial savings could, in real terms to the nation, be wiped out. The National Health Service would have to treat more injured drivers and there is the human cost to consider. The reality is that there is no 1-size-fits-all solution. Each set of lights has to be considered on merit based on traffic flow (at varying times), the complexity of the junction, pollution levels relative to environmental targets, plus the cost of operation, etc. The authorities then have to decide whether the likely pros outweigh the cons, then monitor any decision to check its validity.